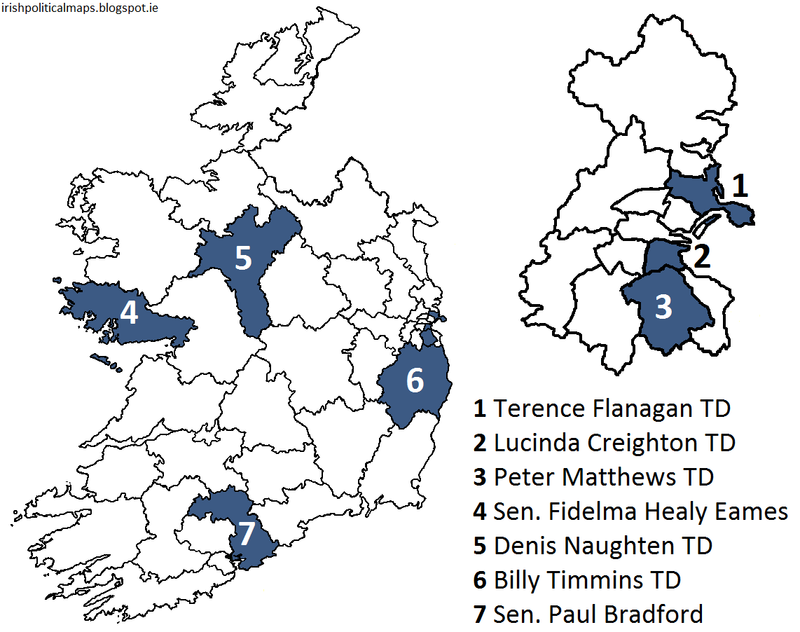 Irish Political Maps: The Reform Alliance: Who are they? The Reform Alliance: Who are they? In July 2013, Fine Gael lost five TDs and two Senators due to their opposition to the Government's abortion legislation. The most high profile of these losses is the former Minister of State for European Affairs, Lucinda Creighton. On 13 September, Creighton and all but one of the other expelled party members announced the formation of the Reform Alliance. Only Brian Walsh deferred. Denis Naughten, who had lost the Fine Gael whip in 2011 over his opposition to hospital closures in his constituency, joined the group as well. Describing themselves as a "loose alliance" rather than a political party, the group do not discount the idea of becoming a party in the future. As the most high-profile member of the Reform Alliance, Creighton has been assumed to be the group's leader, although she denies that any such role exists. The Reform Alliance members are spread evenly throughout the state, with three in Dublin, one in greater Leinster, one in Munster and two in Connacht. What will become of these TDs and Senators, and their group as a whole, remains to be seen.